Give it up for Blackbeard, kids. THIS, please, husband of mine. And you can borrow it whenever you like. 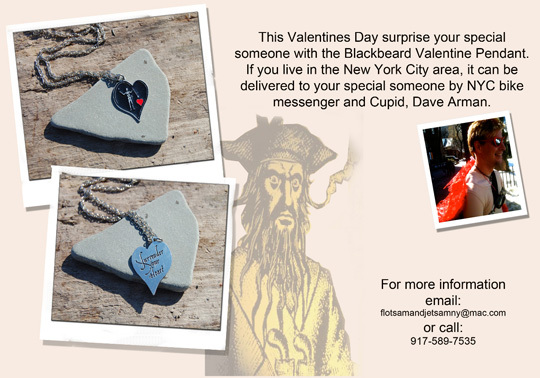 Also, Hi, David, yes, I would like you to arrive in wings and deliver my Blackbeard pewter necklace, thanks. This cannot be found on 34th Street, but we have friends who make really beautiful and interesting things in other parts of the city that we like to support. And Flotsam and Jetsam is just too cool to not share.